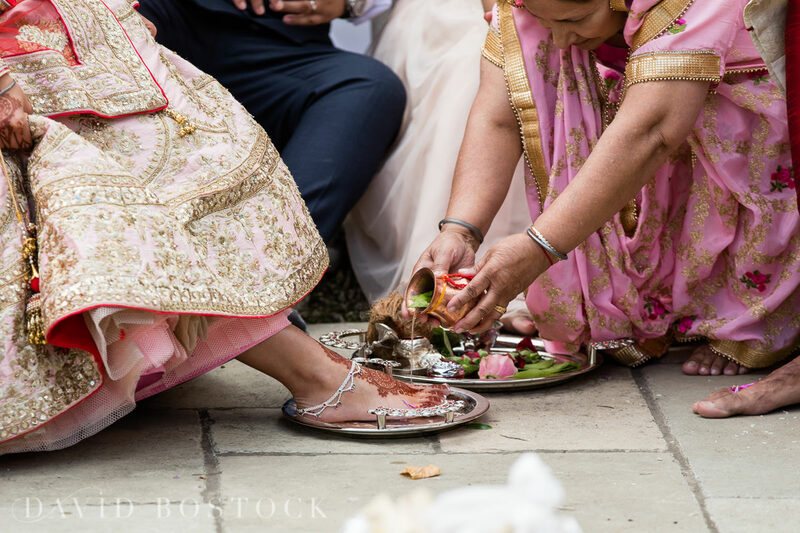 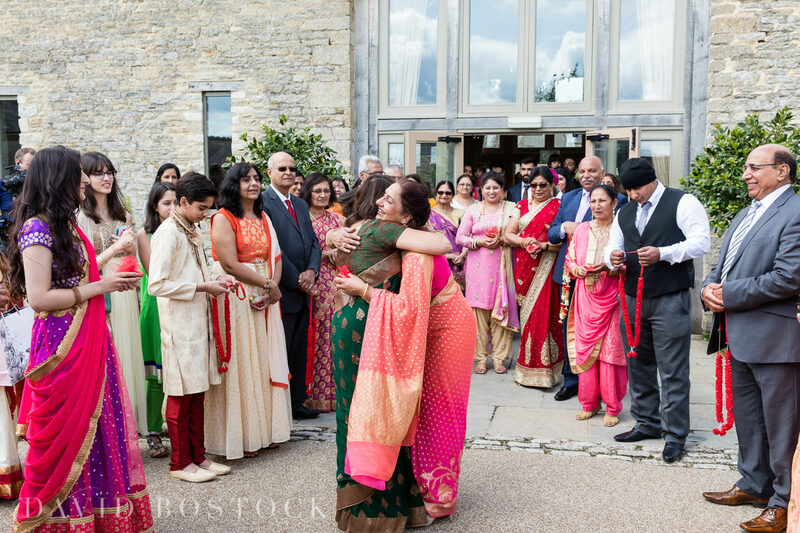 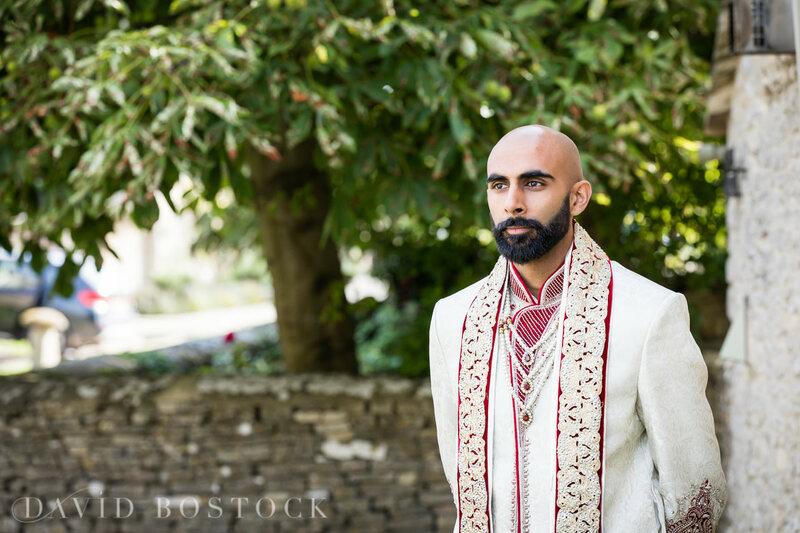 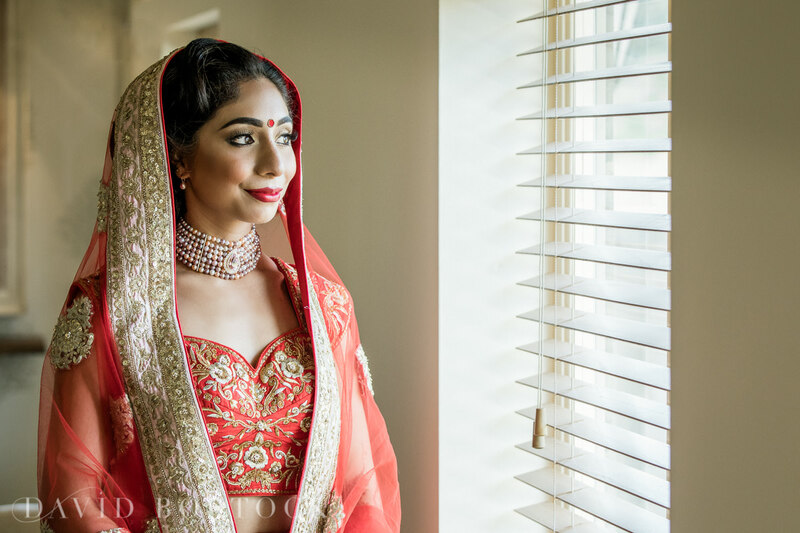 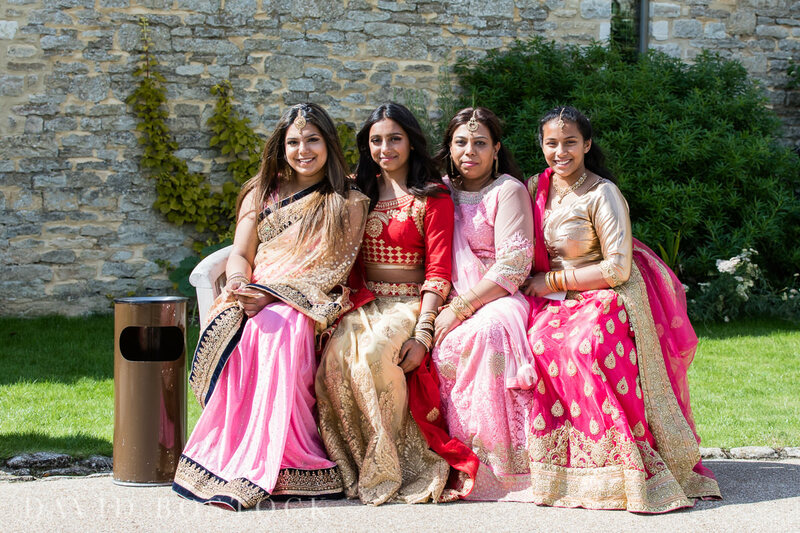 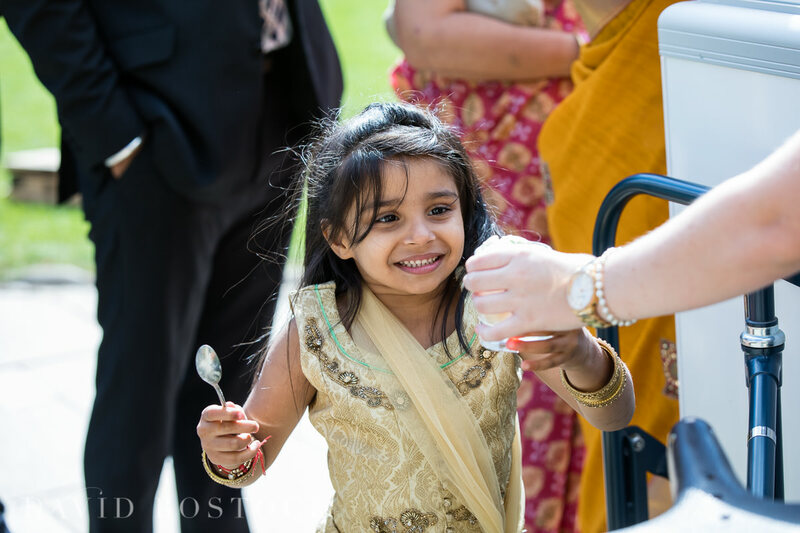 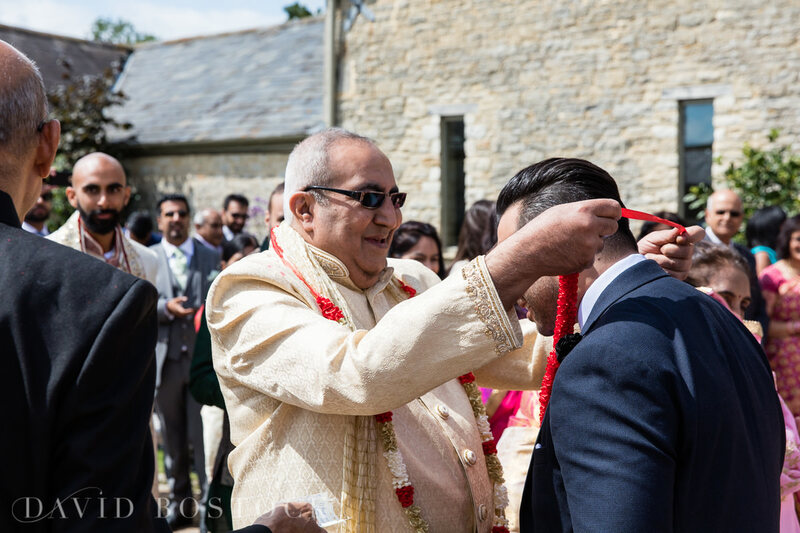 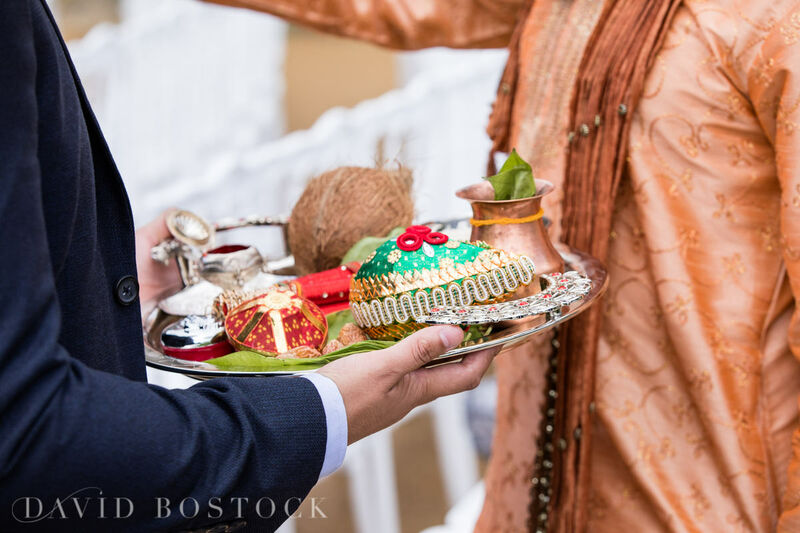 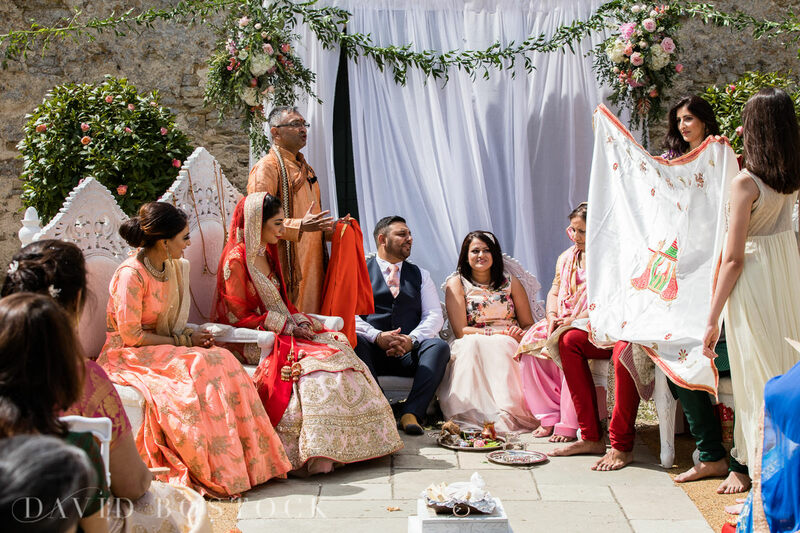 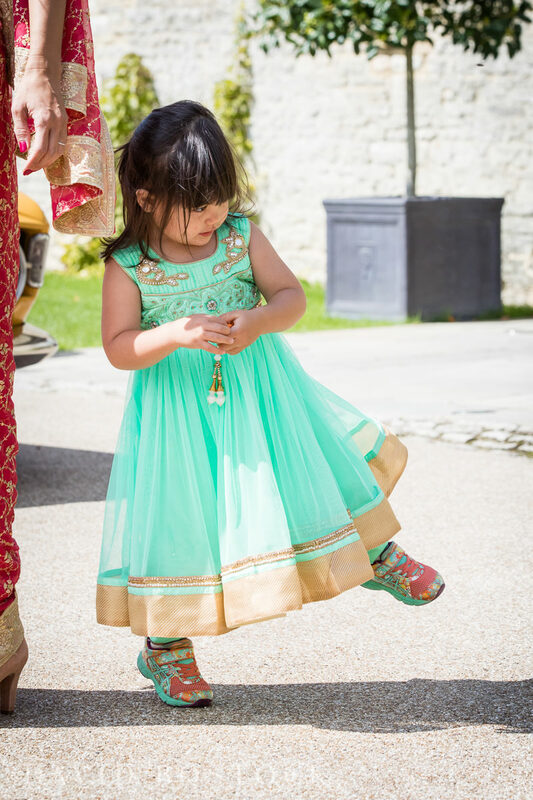 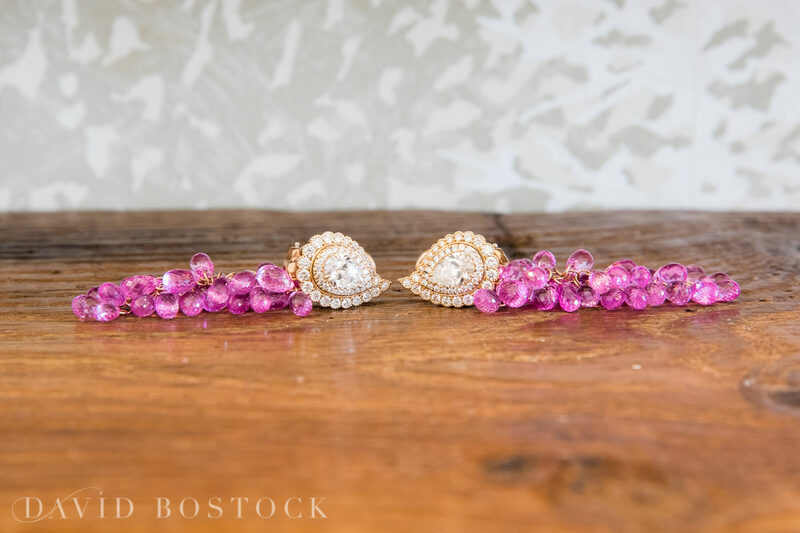 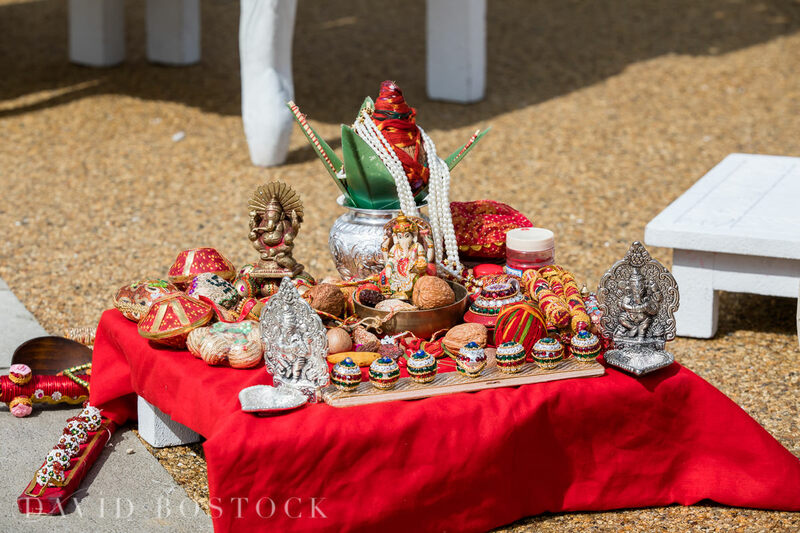 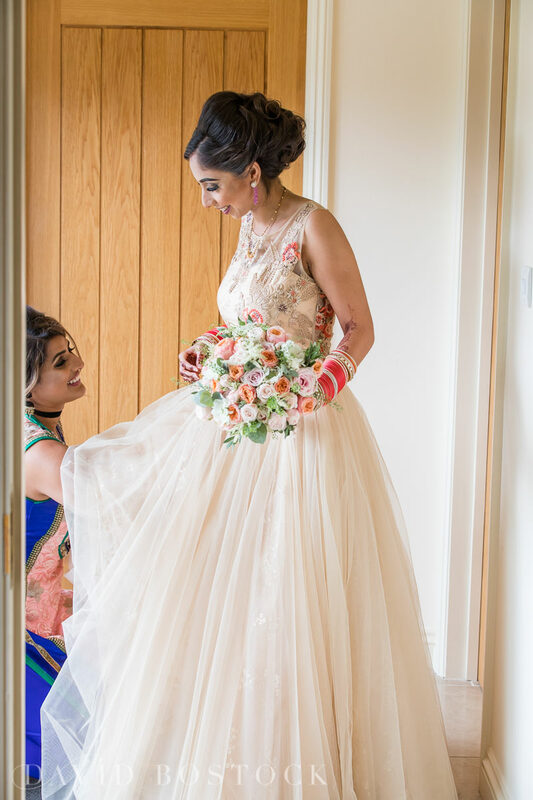 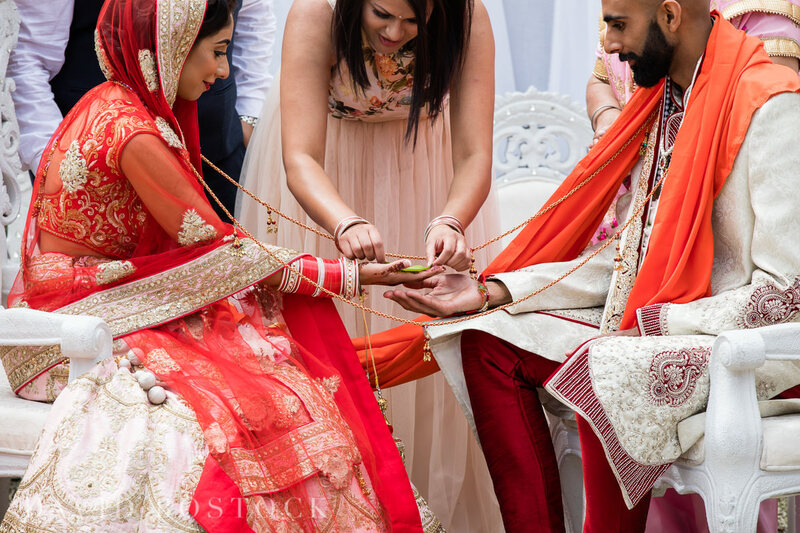 Jasbir and Amar brought the colour of a traditional Hindu ceremony to the picturesque setting of Caswell House, for a summer wedding with serious style, a gorgeous wedding full of colour and a dream come true for a regular Caswell House Wedding Photographer. 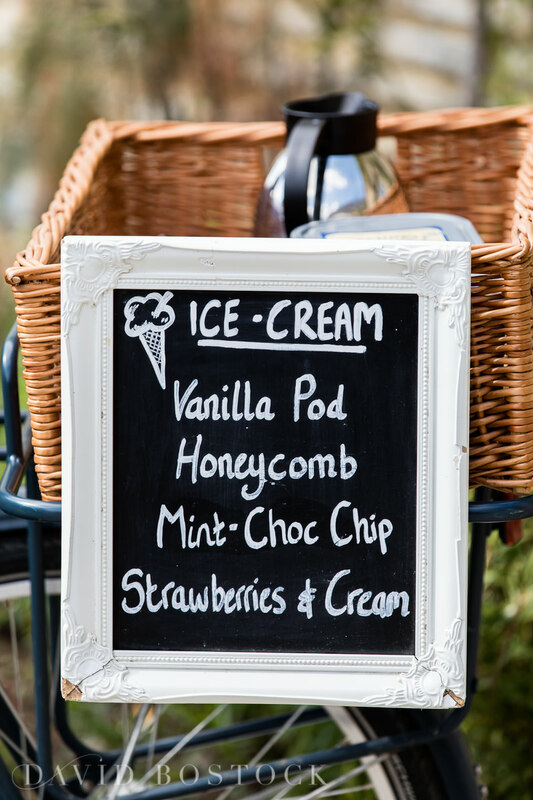 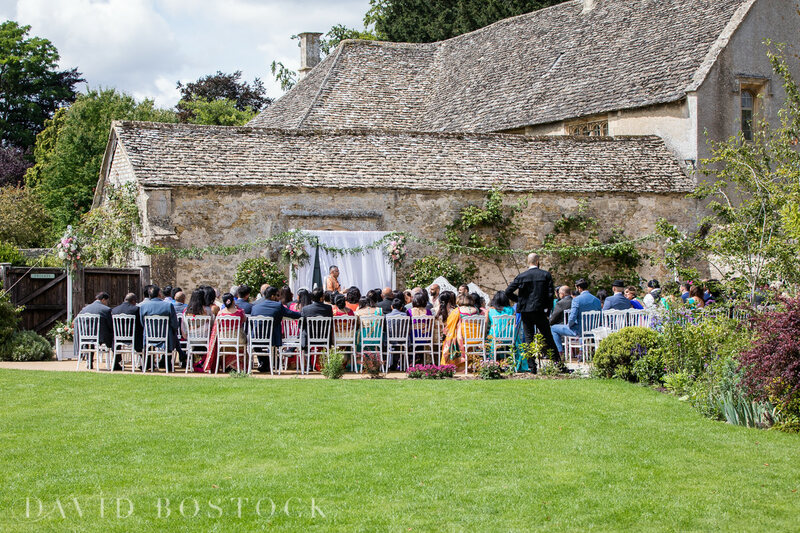 From the exposed oak beams and golden Cotswold stone, to The Secret Garden-esque grounds, Caswell House is a magical and romantic Oxfordshire wedding venue that manages to combine rustic style with real luxury. 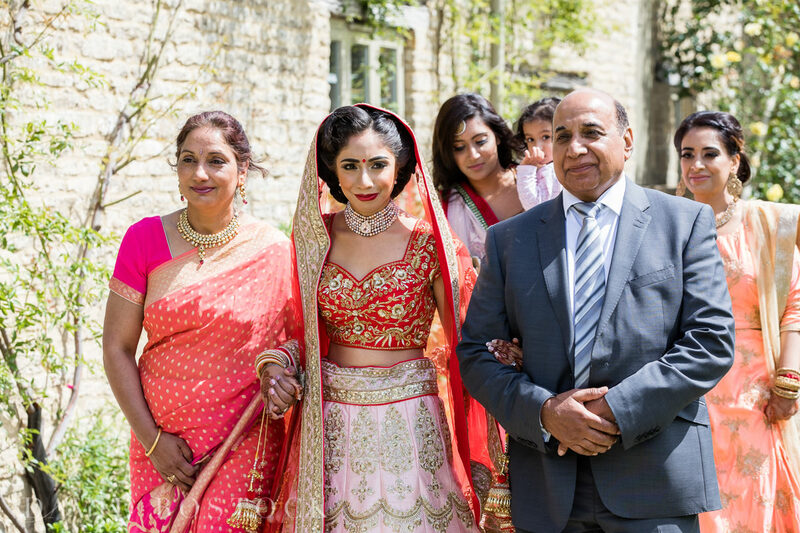 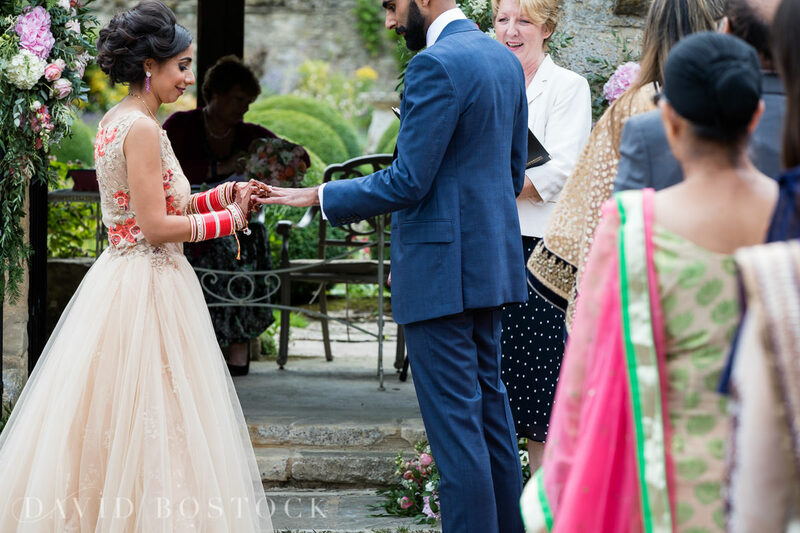 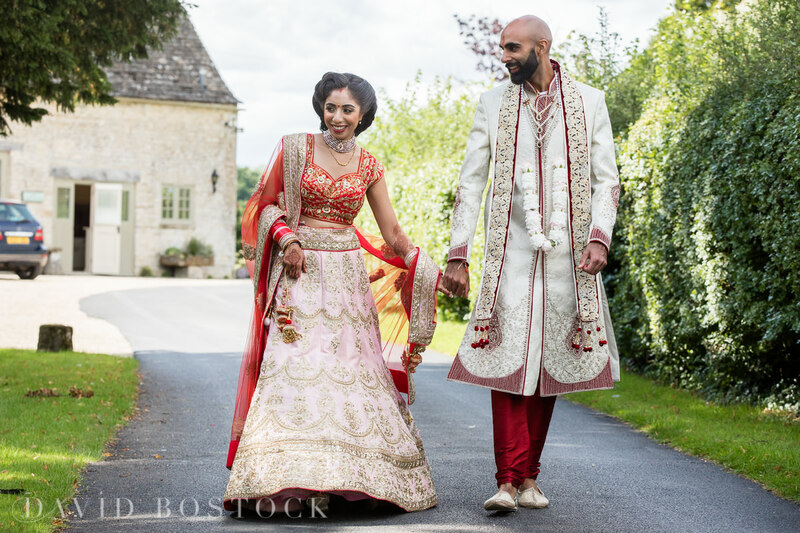 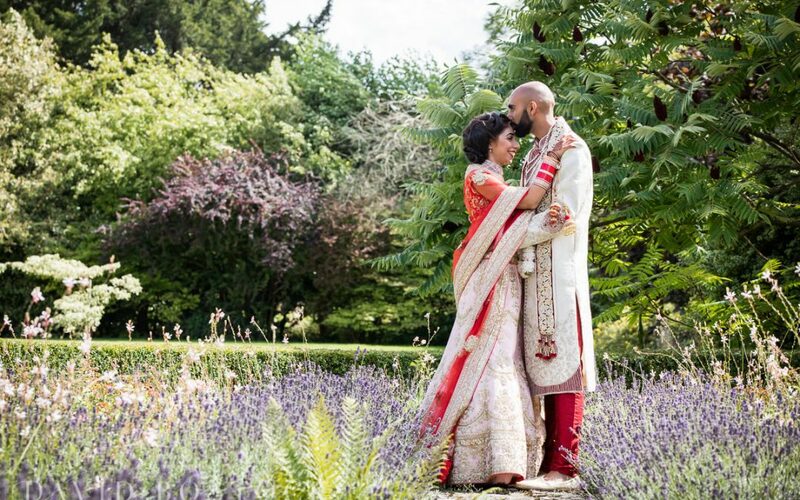 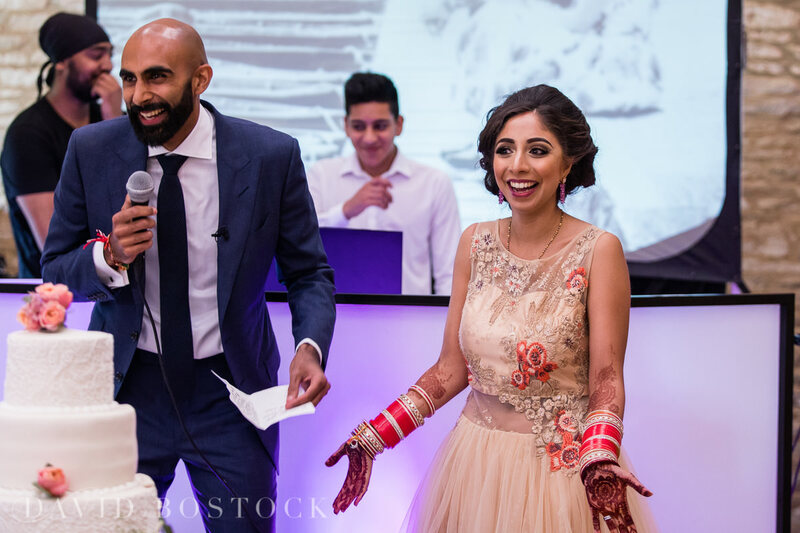 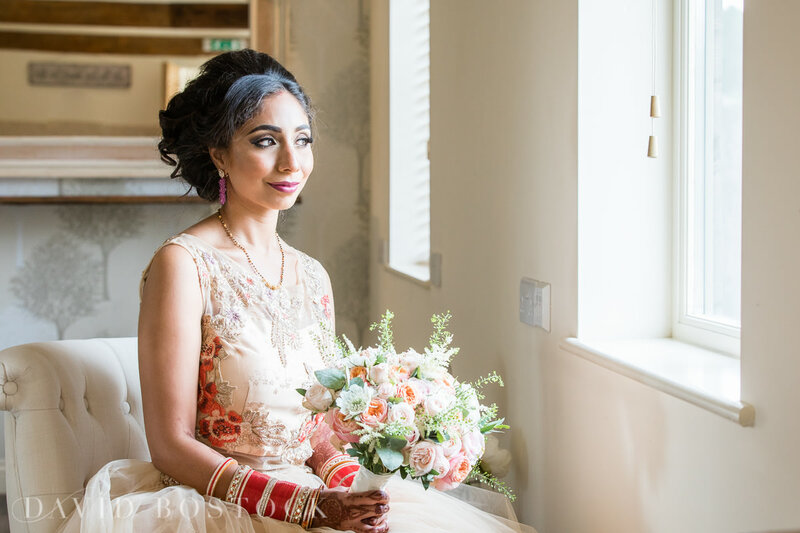 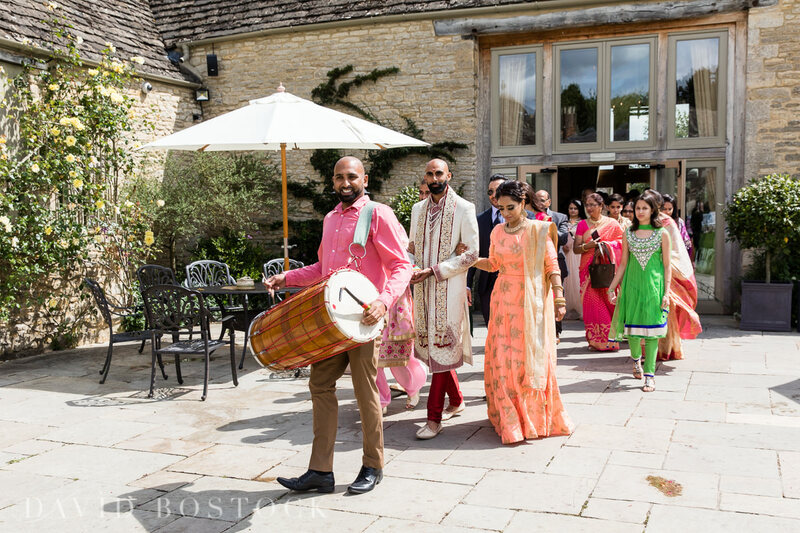 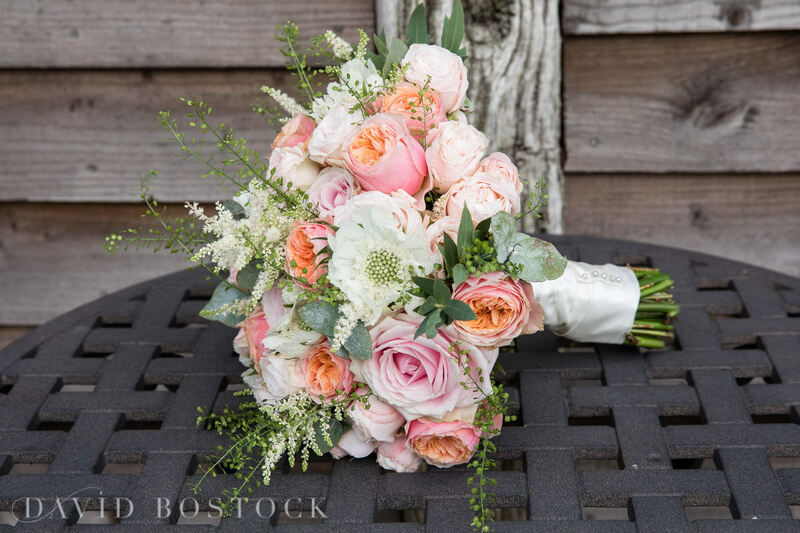 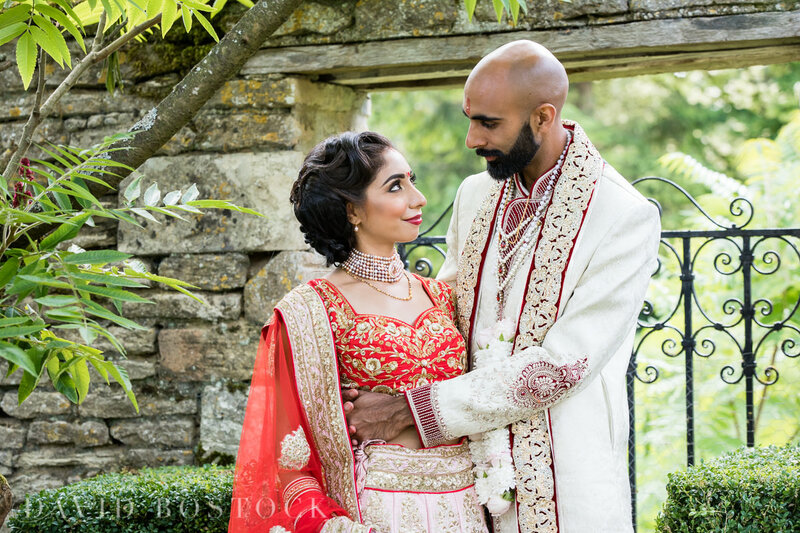 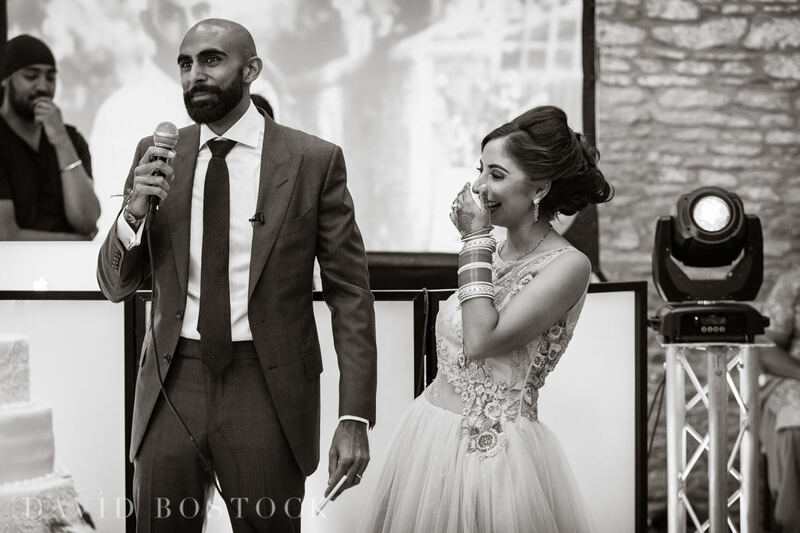 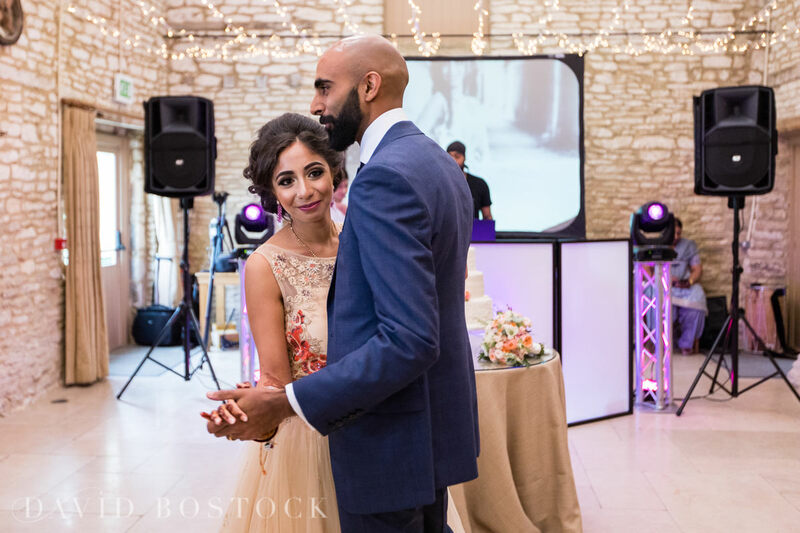 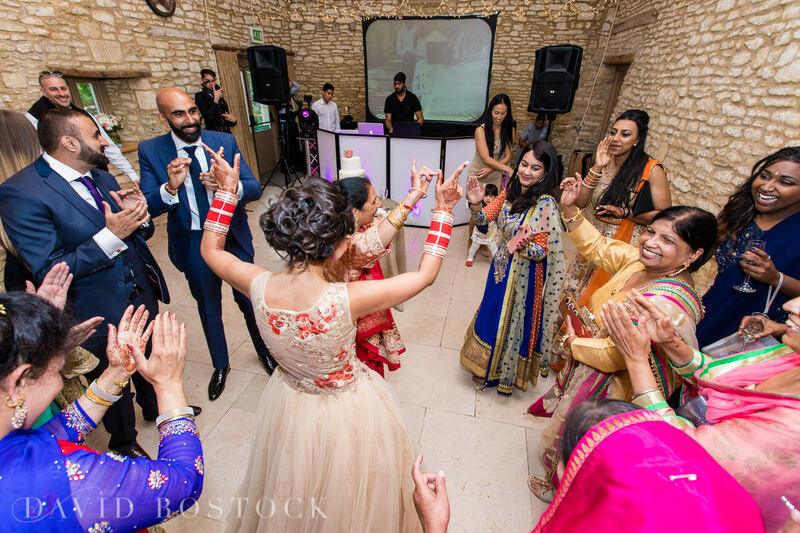 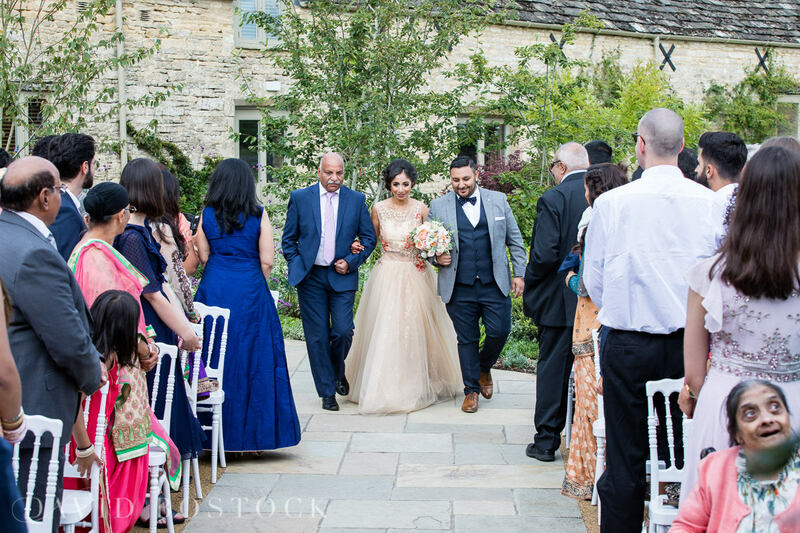 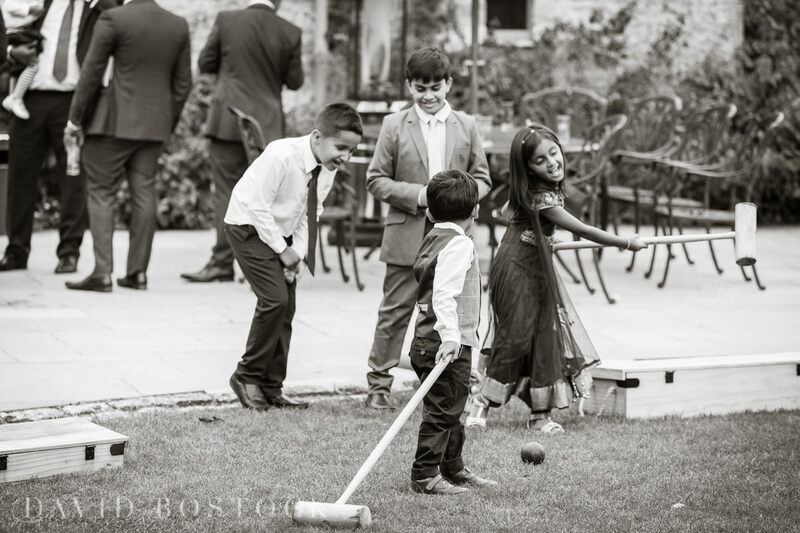 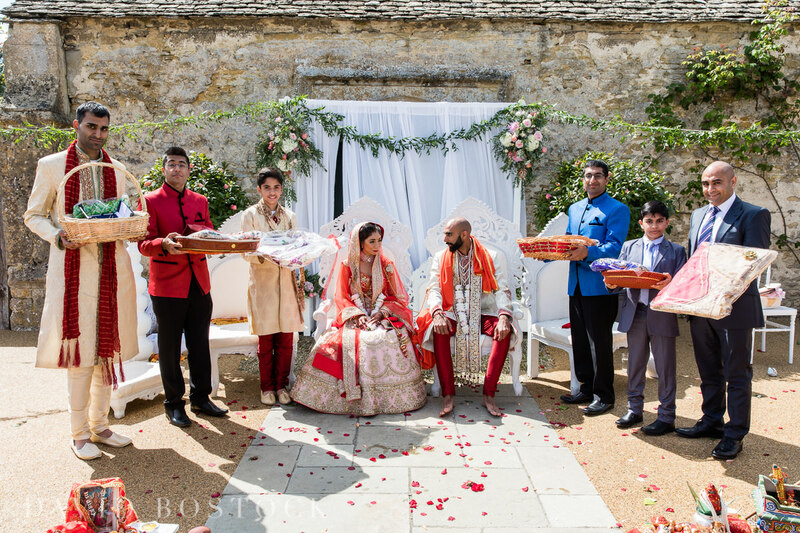 Close to Brize Norton, this exclusive-use barn venue and secluded gardens truly is picture perfect, especially when the sun shines like it did for Jasbir and Amar’s wedding day – I love it! 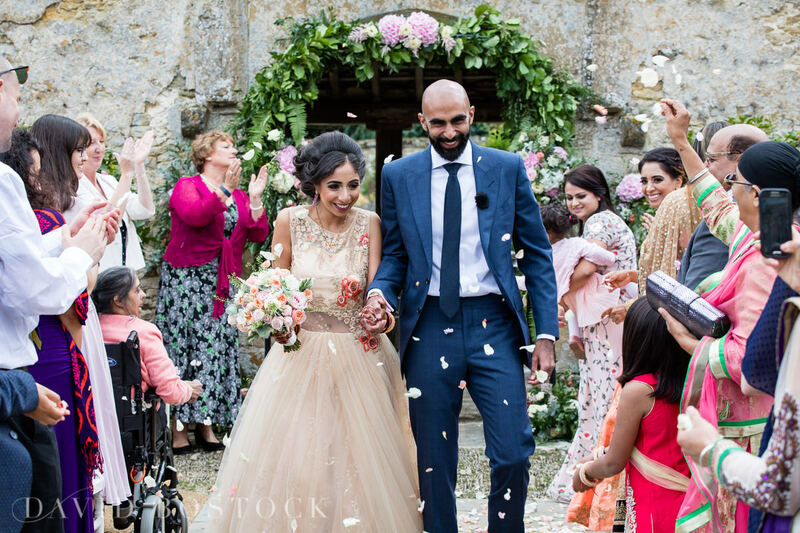 The very talented wedding videographers, Minty Slippers, were also on hand to capture the day for our happy couple. 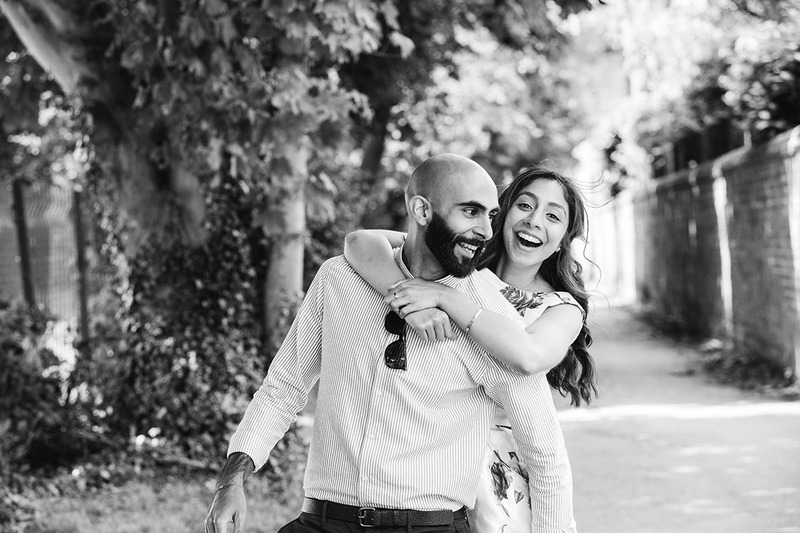 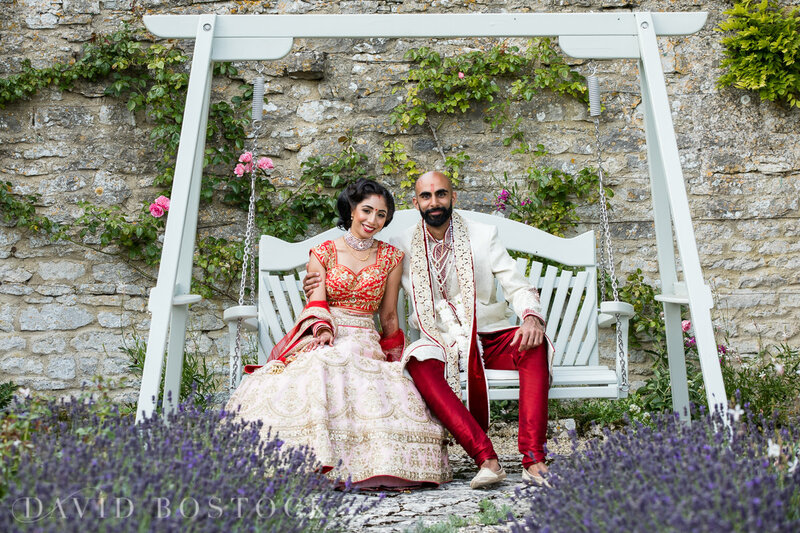 Jasbir and Amar live in Munich, but fell in love with Caswell House so much they flew over to the UK for their wedding. 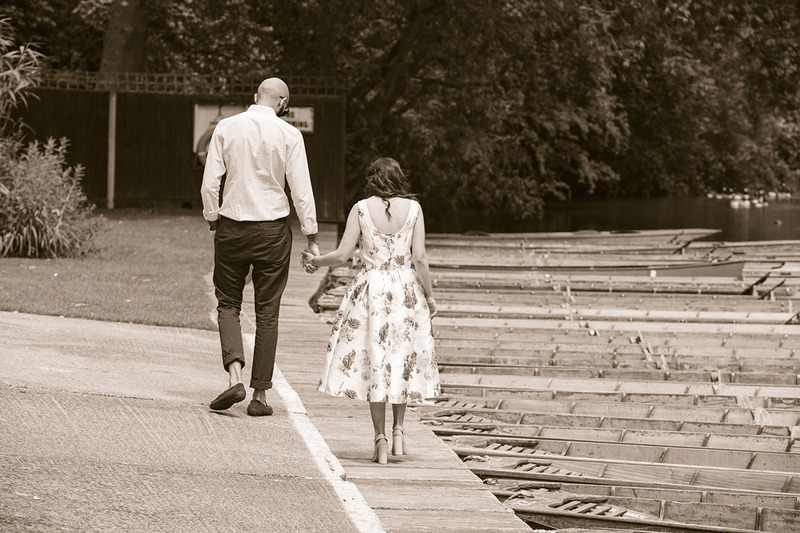 I had already had a chance to get to know the bride and groom, as we did a beautiful pre-wedding shoot with them a couple of months earlier, at Cherwell Boathouse in Oxford – you can see two of these photos below. 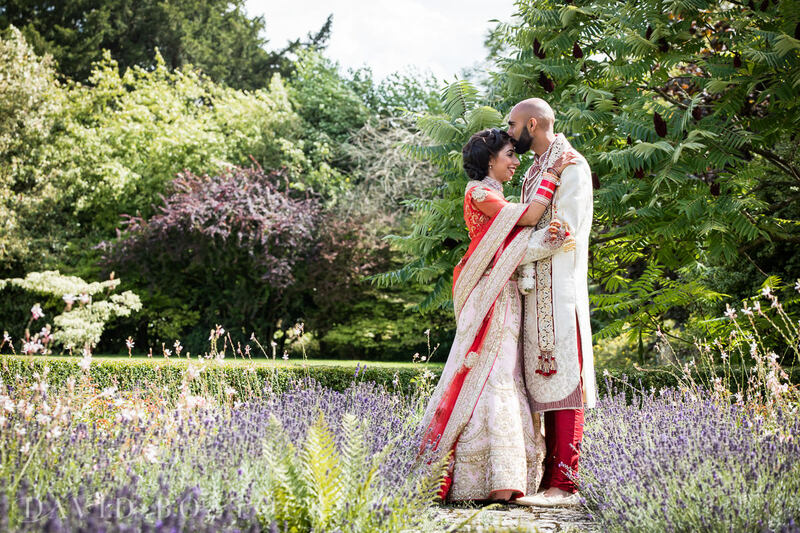 The couple are both creative, Jasbir is a jewellery designer and Amar designs cars for Audi, which really shone through on their colourful wedding day. 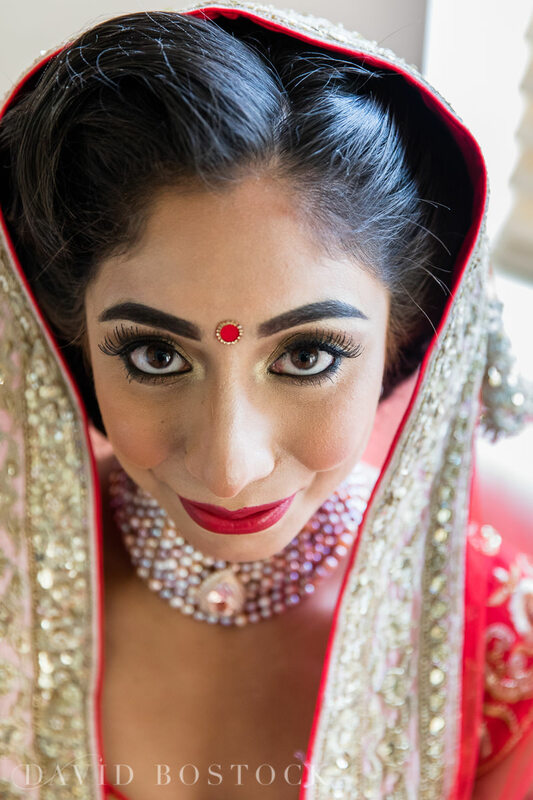 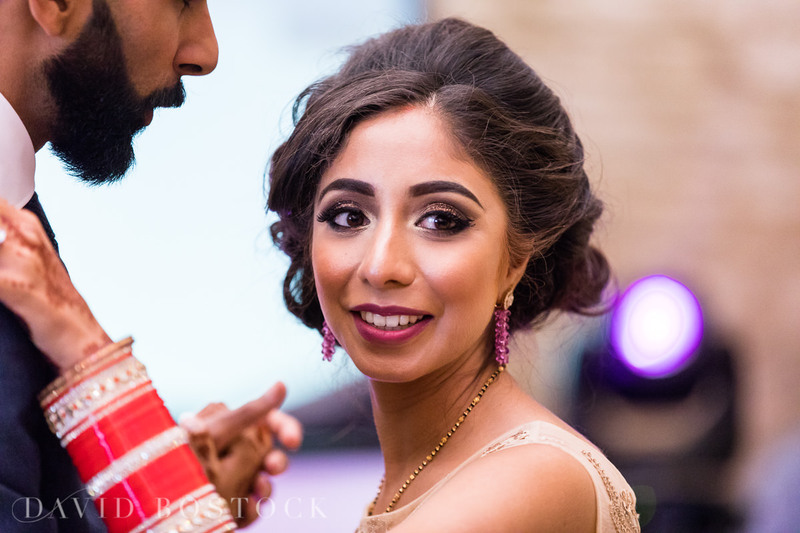 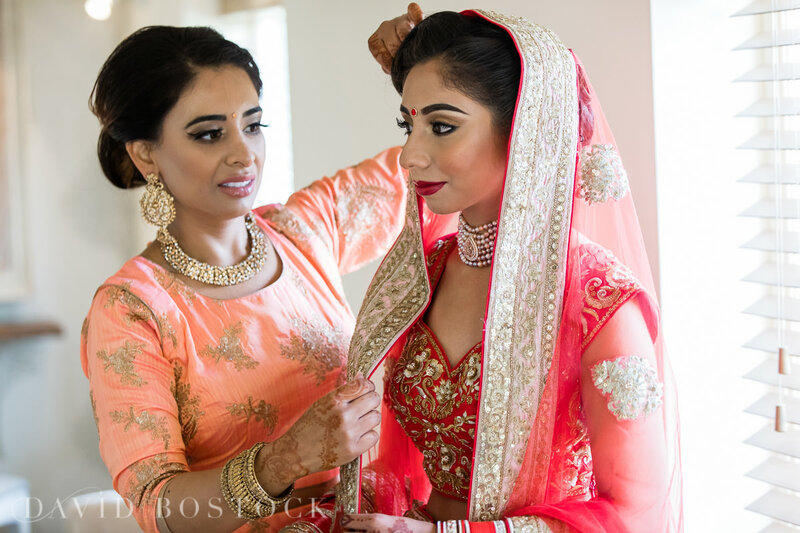 I almost didn’t recognise Jasbir the morning of her wedding, with her stunning Indian make-up and glamorous up-do – she looked so different to the pre-wedding shoot, with her long hair down! 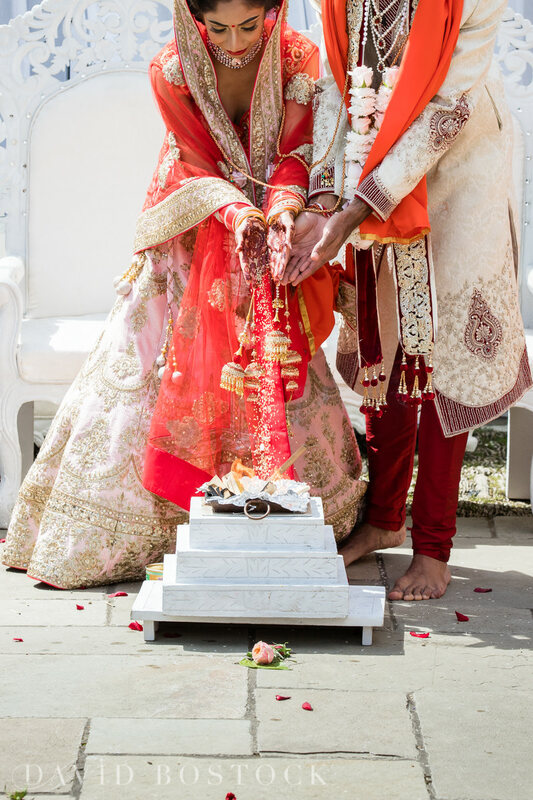 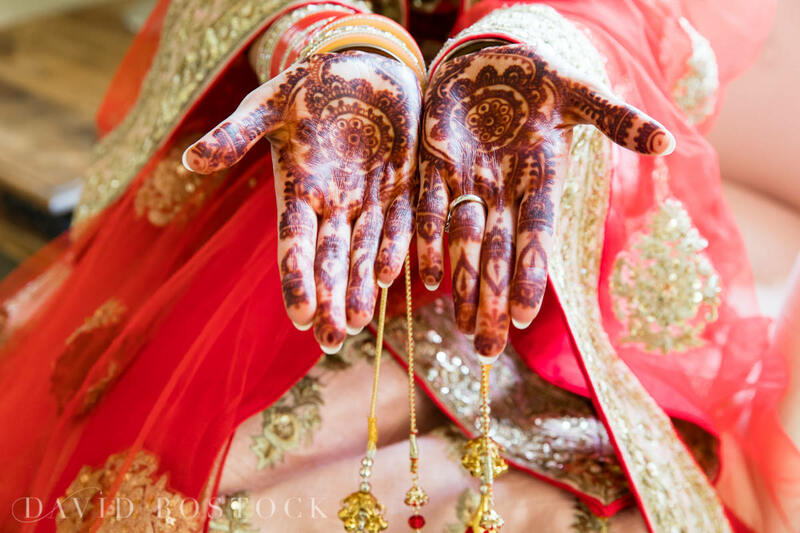 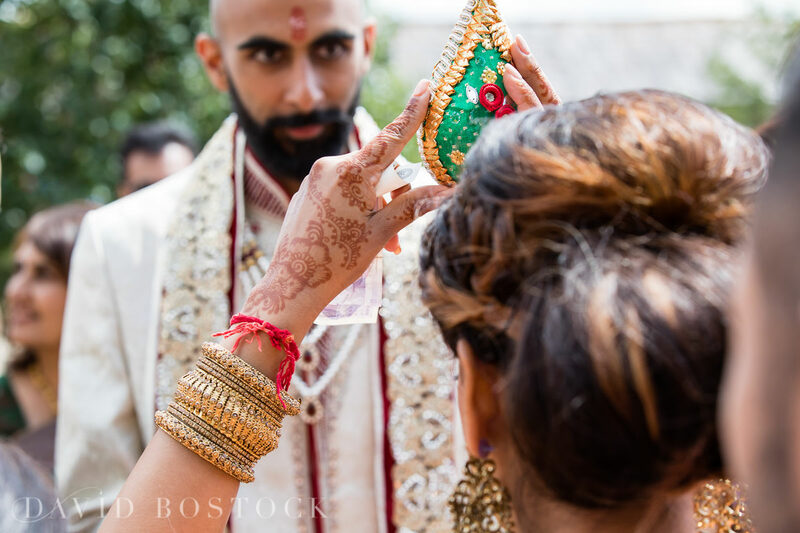 She looked absolutely beautiful in her embellished red and gold outfit for their Hindu ceremony, with intricate Henna designs on her hands and feet and striking jewellery, which she had, of course, made herself. 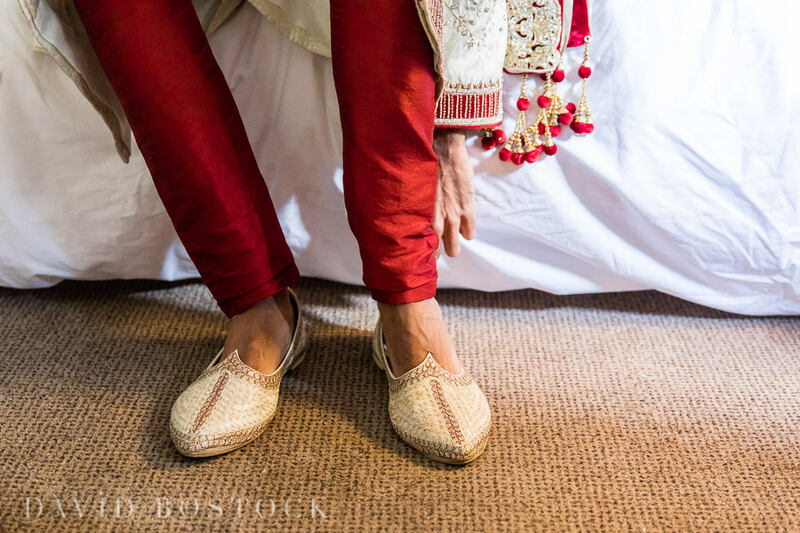 Amar looked dapper in his traditional sherwani in cream, gold and red. 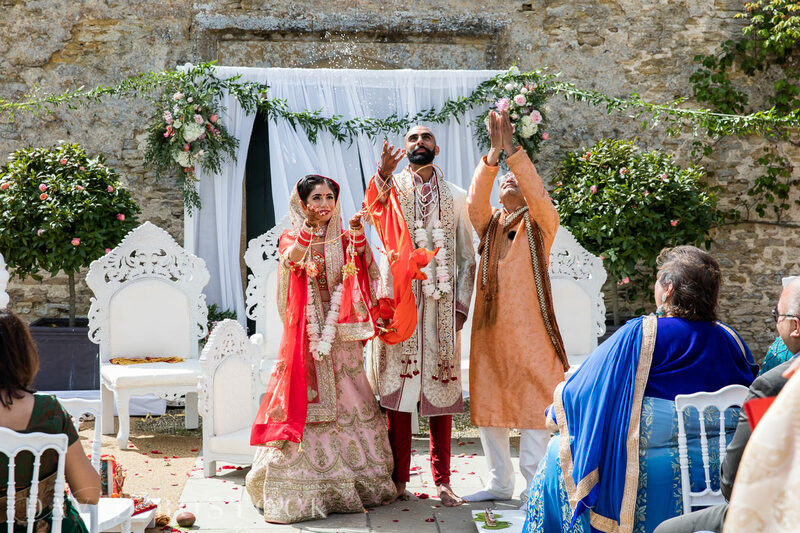 The couple had two ceremonies in a day, first the Indian ceremony, then a civil ceremony – complete with outfit change! 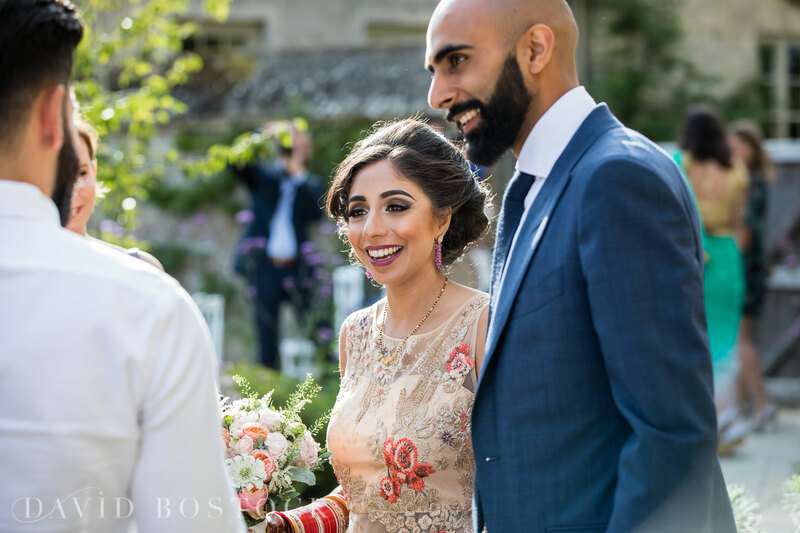 Jasbir chose a very cool embroidered tulle gown, accessorised with her own jewellery creations again, while Amar opted for a slim-fit blue suit and tie. 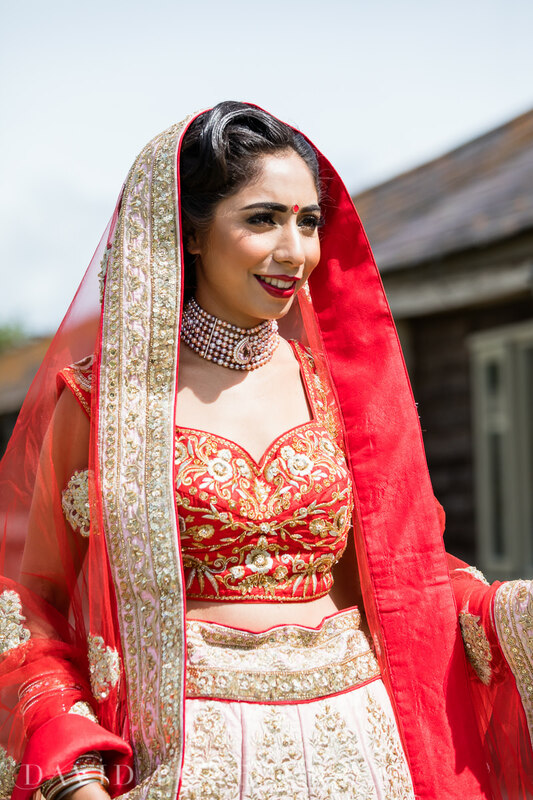 Shooting weddings from different cultures is a real honour and a colourful Hindu wedding celebration is pretty much a dream come true for a Caswell house wedding photographer – there is so much going on and capturing all of the traditions on camera really helps to tell the story of the day. 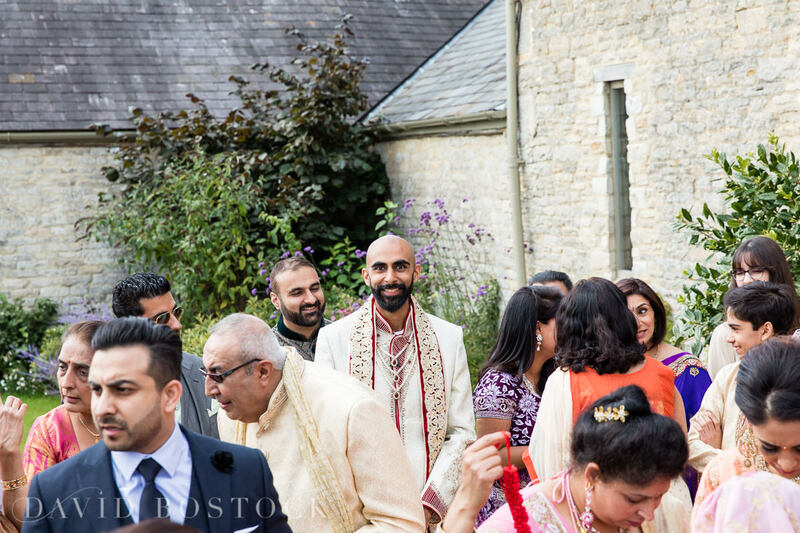 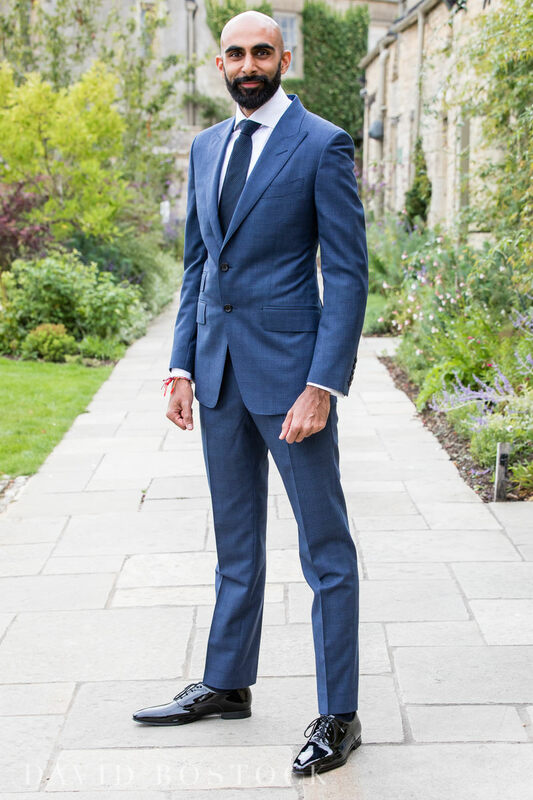 Part of the Indian ceremony involved Amar – bear in mind he was a super tall groom! 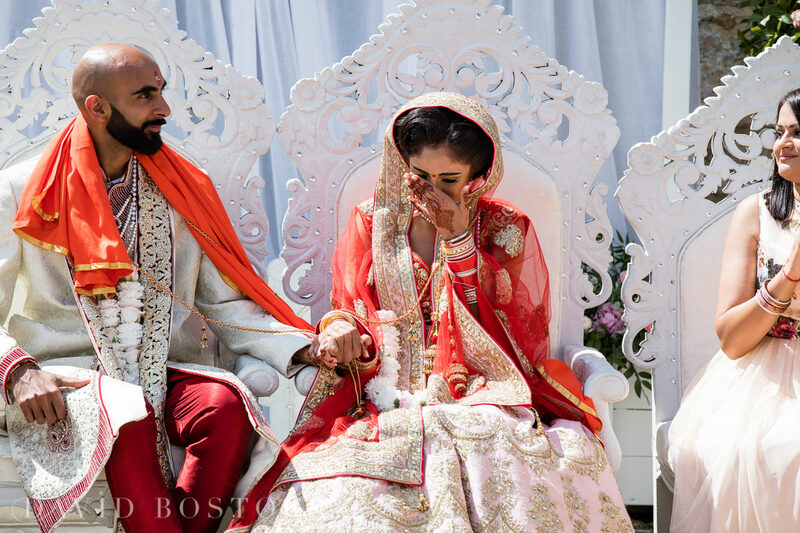 – being shielded behind a sheet, which was only lowered when Jasbir was seated next to him. 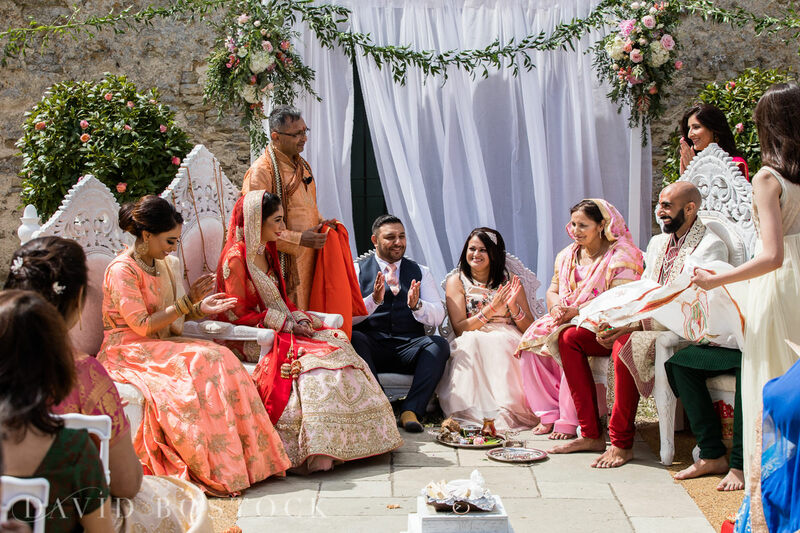 As well as this, there was a garland exchange to welcome each other into each other’s families, Saptapadi (Seven Steps) where a sari shawl was draped across Amar’s shoulder to Jasbir’s sari, as they threw puffed rice into a small fire, and the offering of a sacred coconut – so many special moments I managed to photograph during the ceremony. 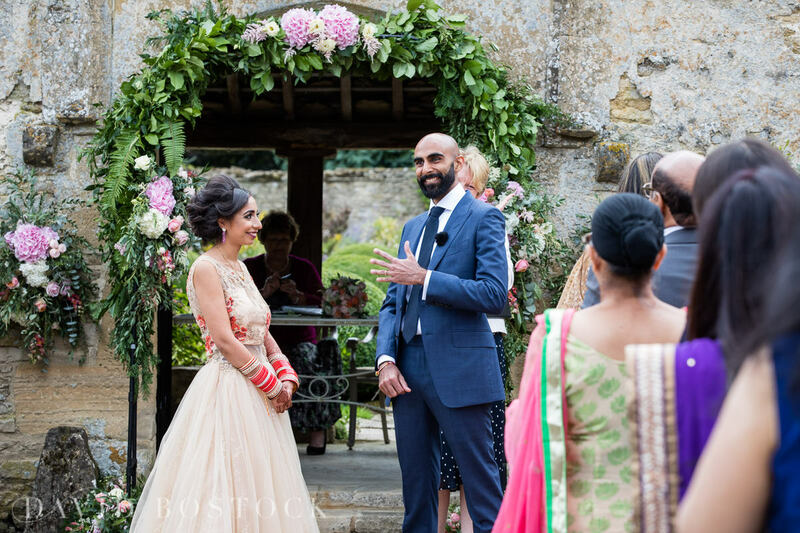 The wedding was on one of the hottest days of the year, a scorching hot August with temperatures in the high 80s – on one hand this was fantastic as the couple got to have two idyllic outdoor ceremonies in the sunshine, but I also managed to get sunburnt as I forgot to put on any sunscreen. 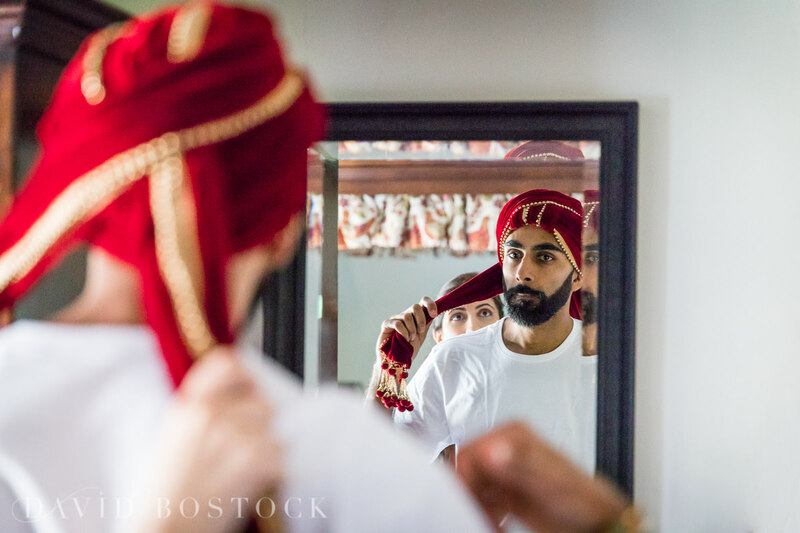 I won’t make that mistake again! 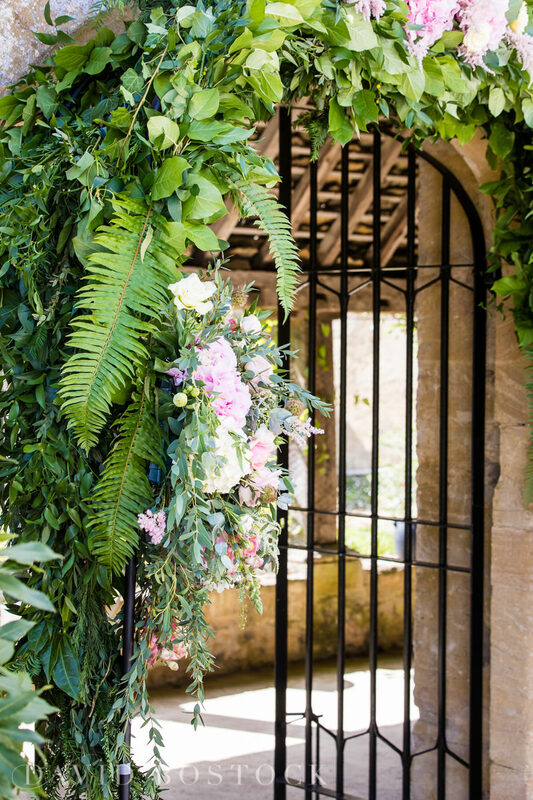 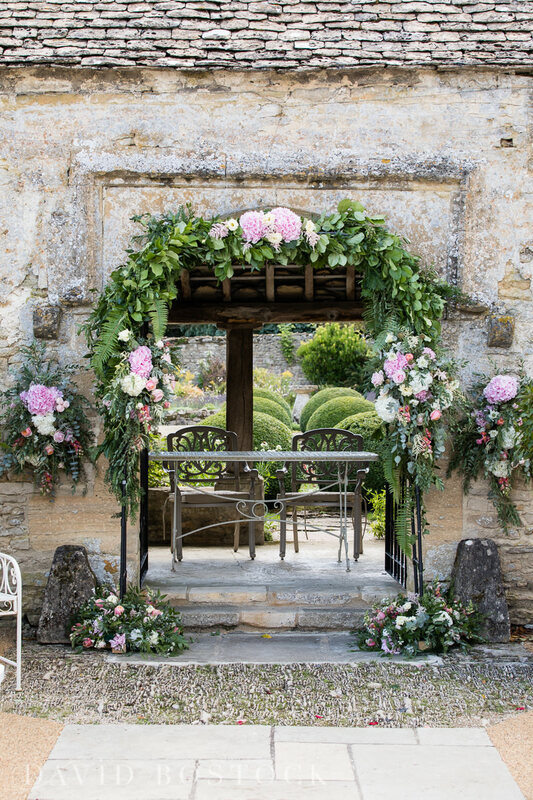 The civil ceremony was a beautifully relaxed affair, with guests seated outside in the sunshine, surrounded by some gorgeous flowers ­­– including a dreamy floral arch outside – by the very talented, Oxfordshire florist Joanna Carter Flowers. 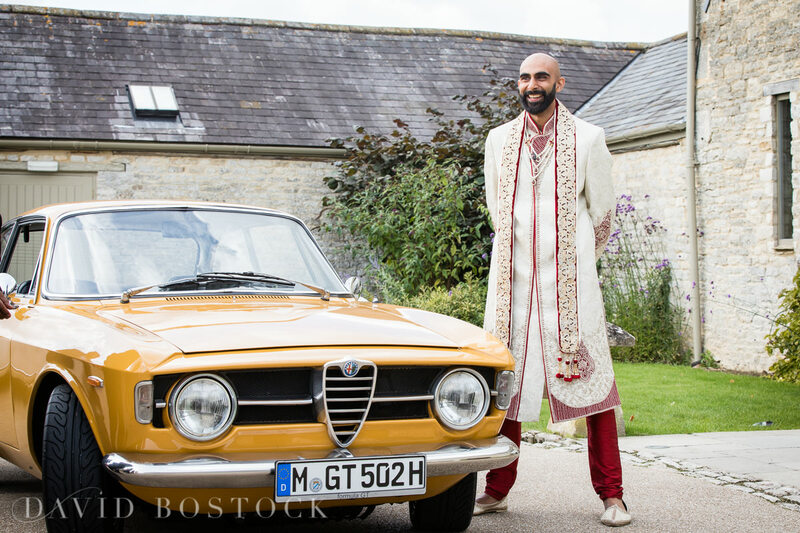 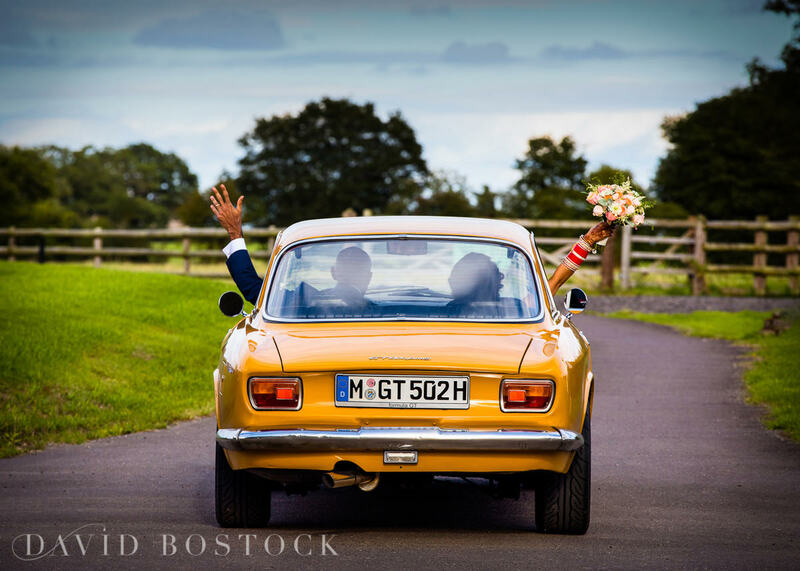 As well as the happy couple, the other star of the show was Amar’s beloved 1970s orange Alfa Romeo GT 1300 Junior sports couple, which he has lovingly restored. 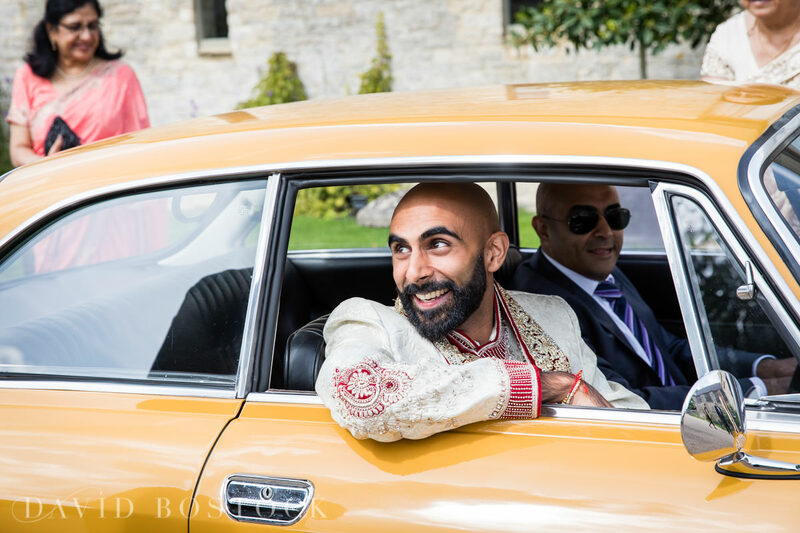 He actually drove it over to the UK so it could be part of the wedding day – yep, he loves it almost as much as he does Jasbir! 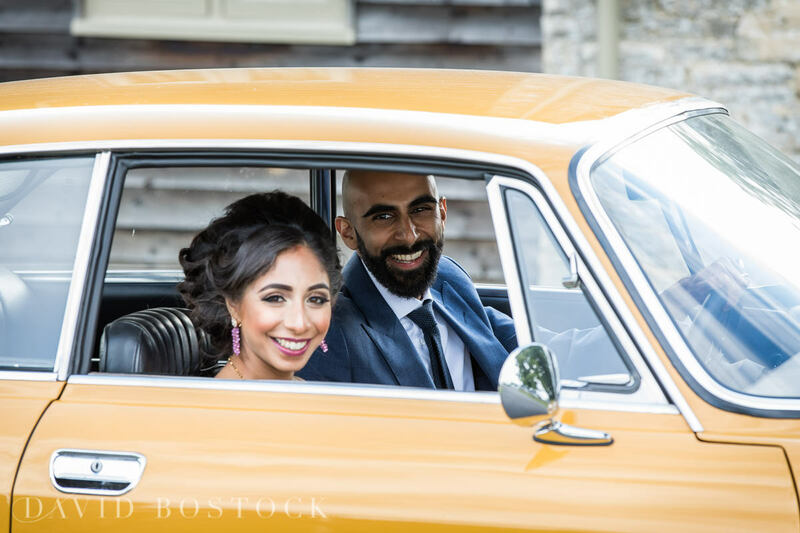 We managed to get some great photos featuring the car, so I think it was worth the drive. 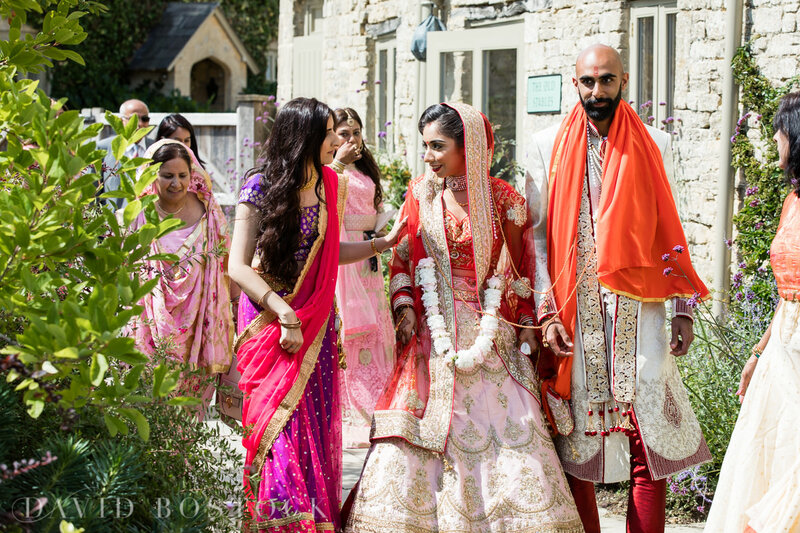 The vibrant wedding even featured in a luxury German wedding magazine, Forever You. 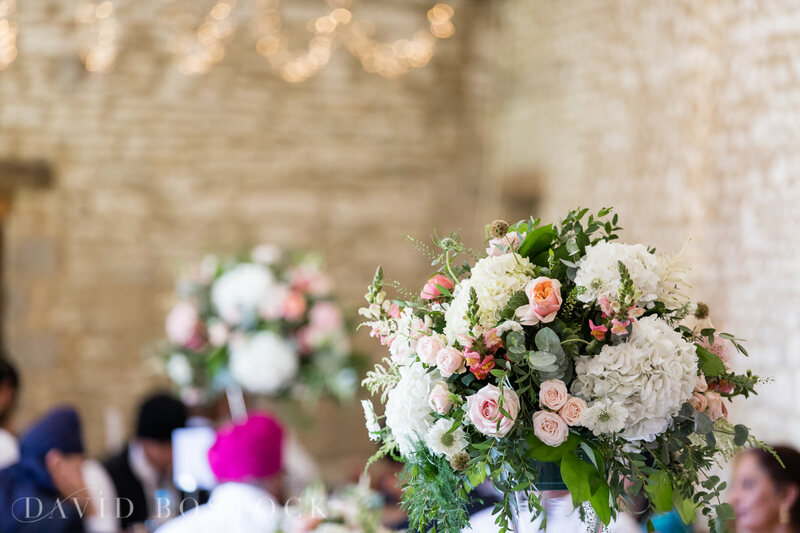 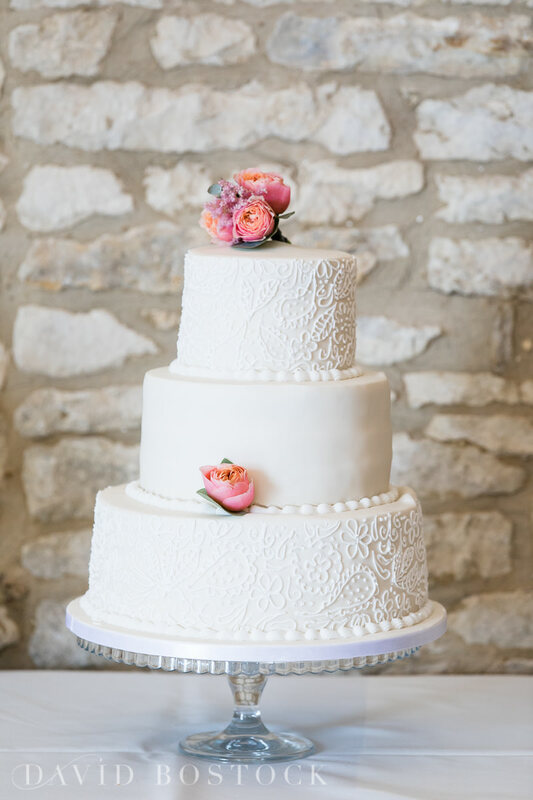 For more wedding ideas and inspiration, check out my blog.